The “P-SB7 Ghost EVP Box” is used to collect EVP’s. It basically does the same thing as shack hacks or Franks Boxes etc. So it is a “white noise” devise. The Spirit Box doesn’t make as much noise as the others—so it is easier to filter things out. When this box came out in 2010 some ghost hunters questioned if this “cleaner noise” would actually not be good because it is the noise that allows or helps the spirits to communicate. Several people have found this really isn’t a factor. Warning-- if you don’t like white noise this sound regardless of its level can be irritating. In fact, I know investigators who will not use this kind of a devise because this sound drives them batty. Others it does not bother at all. I have placed a video of a Spirit Box at the bottom of this post so you can hear the sound it makes. A while back I wrote a post about shack hacks—I featured this devise because it is a cheaper route to take when using white noise during EVP sessions. But recently some of the newer smaller Radio Shack radios cannot be hacked so I decided to share what I know about Spirit Boxes. First, Spirit Boxes have features that older versions do not have. The SB7 model allows the user to adjust the speeds, other white noise devices do not do this. One word of caution here--these higher speeds and the noise it generates again irritate some people. A feature that I find especially nice is the Spirit Box has a small built in speaker, which allows the user to listen with headphones or connect to an external speaker or computer. The SB7 allows the user to sweep both AM and FM frequencies like the older versions but it also sweeps in reverse. One really nice feature is the Spirit Box is small, about the size of an mp3 player so it is much more portable. You can buy used Spirit Boxes on ebay for around $79.00—with bidding I imagine they go for less. Having mentioned the above information let me state that I have personally stepped back from using white noise. This does not mean others shouldn’t use it—mine is just a personal choice. It is always fun to experiment with a variety of tools. One reason I no longer use these devises is because as I have learned more I have discovered I want to spend my time gathering evidence that provides more provable results and can be duplicated. Using white noise affords neither of these things. An investigator I admire pointed out what you hear with white noise is nothing more than pareidolia—meaning our minds take this random background noise it hears and tries to make sense of it. Again, if you like white noise devises go for it—I just am giving my opinion. In the late 1640s several Scottish clans were pitted against each other. This story is about two of these clans--the Campbells and the MacDonalds. The MacDonalds or Donald Clan as they are known supported King Charles the 1st who was king of England, Scotland, and Ireland at the time while the Campbell Clan fought for the Parliament of England. * These two clans clashed in a bloody siege when the Donald Clan hearing that most of the Campbells were away from Duntrune Castle took the opportunity to attack and take the castle. The MacDonalds descended upon this fortress owned by the Campbells in 1645 as part of their campaign that swept across most of Scotland during the civil war. Once the castle was taken the MacDonald chief “Colkitto” *** left a small garrison of men at Duntrune along with his personal piper to guard the castle so he could continue his campaign assault. In Colkitto’s absent, the Campbell Clan determined to regain the castle launched a counter-attack and eventually recaptured Duntrune. Every MacDonald was killed with one exception the Piper. Because of this MacDonald’s Piper—being a privileged and protected individual was spared. He found himself imprisoned and surrounded by his enemies but he was about to perform a very courageous act that would save the lives of hundreds of his comrades. Spotting his chief’s boat approaching on the loch he played a welcoming tune on his bagpipes but as the boat drew nearer the castle he changed tunes to a Scottish aire the Pibroch—“The Pipers Warning.” Colkitto heard this warning and turned his boat about and the MacDonalds sailed to safety. Ever since the piper was killed people have heard bagpipes play the Pibroch at Duntrune Castle. This eerie haunting music has been heard across the loch. For over two hundred years many people felt this was just a “romantized myth” connected to the castle but in the 1880s while the castle was being renovated two workmen removing some flagstones in an inner courtyard of the castle found a shallow grave with a skeleton that had both hands cleanly chopped off at the wrists. Astonished the owner of the castle at that time felt this must be the remains of the ghostly piper who was heard. He arranged for a proper burial with an Episcopalian service. The Campbell’s sold Duntrune in 1792 to the Malcolm’s of Poltalloch. Besides the bagpipe music, furniture has been seen moving of it’s own accord and objects hurl themselves at walls breaking into pieces. Robin Malcolm states he feels the castle is still haunted by the piper. His present day sitting room was once the main entrance to the castle, he feels this room has a lot of activity. His dog often warns he and his wife when something is passing. The Malcolm family is comfortable with the ghost and feel that despite the burial of the piper’s remains he still haunts the castle because he was probably Catholic and not Episcopalian—so he truly hasn’t been laid to rest. * The English Parliament wanted a “constitutional monarchy” Charles the 1st disagreed. His attempt to forge an alliance with Scotland started the Second English Civil War. He was ultimately defeated, convicted, and executed for high treason. ** Duntrune castle is unique in that it is the oldest continuously occupied castle in Scotland today. *** Some accounts refer to Colkitto as Alasdair Mac Colla others as Coll Clotach. **** In another version of this story the MacDonald Piper was sent into the castle to spy, but was found out. He was imprisoned and then played his pipes to warn the MacDonalds that their surprise attack was no longer a surprise. Colkitto duly warned retreated, and the Campbell’s cut off the piper’s hands. A friend of my family told me this story when I was a pre-teen, thinking back I was probably too young to hear it—for I had several vivid nightmares afterwards. In Ireland, hundreds of years ago, there was a king by the name of Tighermas. Tighermas believed in a pagan god by the name of Crom Dubh. His belief in this god led him to sacrifice humans every year—by decapitating them—in order to appease or keep Crom Dubh happy. This practice continued until the Christians gained a stronghold in Ireland at which point human sacrifice was no longer allowed. Resenting this, it is said Crom Dubh took on a human form so he would not be forgotten. To this day he is considered the most terrifying of all the Irish unseelie fairies. Confused about the use of the term “fairy”, I asked why a fairy was scary. So the friend stopped and explained patiently, this fairy was a supernatural spirit and a malicious and evil one at that. He is known as Gan Ceann. (In old Gaelic Ceann means head, and Gan means without.) But most people call him the dullahan—the dark man. He is a fearsome spirit who rides a large black horse—he is only seen at night—but it is best not to see him—but I am getting ahead of myself. He is headless * but he keeps his head near, he either carries it under his arm or thrusts it high in his outstretched hand as he rides his horse. His head is rotted and moldy in appearance, it has dark eyes that dart back and forth constantly and it’s mouth sneers from ear to ear. The horse the dullahan rides is heard thundering down the road leaving a trace of burnt grass behind—most will not look at this horse—but the few who have and survived say fiery flames shoot from its nostrils. Keep in mind there are not many people who have seen the dullahan for everyone is warned not to look upon this dark man as he passes by—for it is believed if they do it insures a person’s demise. This horseman is clothed in dark robes and carries a whip made from a human’s spine, it is said he barely utters a word except a name. This is another reason why he is dreaded for the person the dullahan names as he stops is doomed for he claims their soul. Yes, he steals their soul—and the person drops dead. There is no warning except for the pounding of his horses’ hooves on the road as he approaches—and when he stops he calls out their name—family members or friends who try to help this person find that the dullahan splashes blood on them or whips out their left eye which marks them as one of his next victims. The dullahan gained on him and the poor man knew this was the end but in the next moment his coin pouch worked its way open and one gold coin fell to the ground. All of a sudden there was a loud roar and a rushing of air above him as he turned to look he found the dullahan was gone. It was made of gold—and that was what saved him. It seems the dullahan has an irrational fear of gold—even a small amount will frighten him off. So each October during the Irish New Year, Samhain, which brings the beginning of the Celtic winter, every Irishman, carries gold and looks out—or actually looks away to avoid the dullahan. 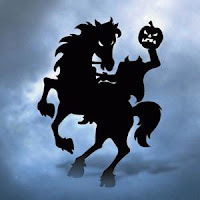 * It is said that this tale, The Dullahan, most likely inspired Washington Irving to write The Legend of Sleepy Hollow. For his parents were Scots and Scotland just like Ireland has versions of The Dullahan—the headless horseman. Located just forty miles from Belfast in Northern Ireland in County Antrim is the beautiful rural estate of Glenarm Castle. This castle has been in the McDonnell family since it was first built in 1636. Even in the 1990s this same ghost has made appearances. She is always spotted near or in the guest bedrooms in the castle. Recent witnesses have described her as so “real” they thought she must be a servant dressed in the fashion of an earlier age. Hector McDonnell, who grew up at Glenarm Castle told The Telegraph in the 1990s of a childhood encounter he had with a ghost that convinced him the castle is indeed haunted. According to McDonnell the paranormal activity at Glenarm was so pronounced that his mother decided to have every room in the castle “exorcised”—except for the attic. He feels that when this was done all the spirits must have fled to the attic. After this McDonnell explained there was a terrible stamping noise coming from the attic. He stated that at the age of 12 his sister’s maid, who he was more afraid of than ghosts, sent him to the attic to investigate. What happened next scared him so much he never went in the attic again. According to him he turned on the lights to the attic at the bottom of the stairs and then headed up to the room—at which point the lights turned off, leaving him in the dark. To his horror he sensed that whoever had turned off the lights was now behind him—he does not remember to this day how he got back down the stairs—but he did not encounter anyone living who could have turned the lights off. McDonnell stated that the noises continued for the next fifteen years but since he was the only family member who slept in that part of the castle he was the only one who was bothered by it. He mentioned that a skeleton was found buried outside the castle so he feels that some people could have been murdered in the area in the past—there was a skeleton unearthed near one of the original castle walls in the 1970s. Today Mr. McDonnell lives in the rectory just down the road from the castle. This structure is also haunted by a half-formed figure, which is seen most often in the dining room. For two centuries according to many reports the Palatine ghost ship can be seen on the anniversary of its demise. Witnesses over the years have reported seeing a fiery ship off the northern point of Block Island located 13 miles south of Rhode Island. Some witnesses have claimed to see this “burning spectral ship” off Block Island Sound year after year always at the same time—between Christmas and New Year’s Eve. The legends that are told about this ghost ship are based upon a real ship that met a tragic end in December of 1738 near Block Island. In these stories this spectral ship is called the "Palatine" but its true name was the Princess Augusta. Its passengers were German emigrants known historically as the ‘Palatnates', hence the confusion with the name. These Palatine emigrants left their homes to journey to Philadelphia. Tragically for many of these passengers their dreams for a new future ended as the Princess Augusta neared Block Island. It is known that some passengers died during the voyage while others reached their destination. Some who died were buried on the island. A written account given by the crew of the ship shortly after it wrecked resurfaced in the 1920s or '30s. This deposition paints a dire picture on board even before the ship was destroyed. Provisions were scarce and half the crew died during the voyage—the remaining seamen suffered the extreme cold. This document went on to describe how the ship hit a heavy snowstorm, which drove it aground. The captain encouraged the crew to save what they could of the ship’s cargo before it broke to pieces. For over two hundred years what exactly happened to the Princess Augusta as it neared Block Island depends greatly on who tells the story. There are two well-known versions, which one is closer to the real truth is not known. I will briefly share both legends here and leave it to the reader to decide. The people of Block Island tell this tale. They state that the captain of the Palatine and his crew where criminals who abused their passengers by plundering their possessions and then tried to cover it up by deliberately running the ship aground as it neared the island. This version of the story mentions the kind-hearted islanders where able to convince the crew to release the few remaining passengers that were still alive after the ship had wrecked. In this tale the islanders then nurse these passengers back to health. It is stated the crew cared more about saving the ship and its cargo and would not release a boat for the passengers to use until the islanders intervened. In this island version it is stated that if the ship reappears in December it is a bad omen, or harbinger, predicting a bad storm will hit that year. Off-islanders tell a very different tale. This version was immortalized in a famous poem written by John Greenleaf Whittier entitled “The Wreck of the Palatine”, which was published in 1867. This story tells of how the island farmers having suffered a harsh winter were starving so when they heard the ship was to pass near their island they decided to lure and wreck it in order to steal its stores. The islanders supposedly did this by lighting misplaced fires that drew the ship to the rocky shoreline, which caused it to crash against the rocks breaking it apart. In one version it is said these same lights caused the ship to catch fire and burn. In another story it is stated the islanders set the ship ablaze and murdered the remaining survivors. Ironically, when the islanders boarded the ship they found that all the ship’s food and water supplies were long spoiled. The off-islanders tale as to why the ship reappears is different as well. It is said that this fiery ship reappears to remind the islanders of the wickedness that was done that day in December. Both of these legends are harsh reflections of human behavior but regardless, the reality of the suffering of these passengers remains. I find the forgotten truth we do know about them compelling enough—even without the two popular legends that have been passed down. The Palatines were a long-suffering people long before they reached this New England shore. These Protestants from Germany endured decades of war, crop failure, famine, plague, and religious persecution. So they decided to immigrate to the New World. Ocean voyages at that time involved poor quality food and water, and infectious diseases. Typhus alone killed many children. These Germans faced these perils to gain religious freedom. The additional tragedy for the Palatine passengers on the Princess Augusta was the fact they faced yet another deadly peril close to their journey’s end—which many of them did not survive. This alone could be the reason the ship—starting the first year after it's destruction—reappears seemingly in flames off Sandy Point on Block Island. On a cold and windy rock island sits one of American’s most haunted lighthouses. This is a hard sell because most lighthouses are considered haunted even if they are not. But Sequin Island in Maine has a tragic history, which lends itself to hauntings. The lighthouse that stands on the island today at an elevation of over 180 feet is actually the third reincarnation of the original that was built in 1797. Sequin Island is a very inhospitable place to live. It is considered the foggiest stretch of coastline in all of Maine. The wind chills the bone and the winter months are endless. The human history on the island is just as cold as its Nor'easters. This lighthouse is one of American’s oldest so it has witnessed many years of human suffering. One tragic event that is associated with the island took place in the mid-19th Century. This story is one of isolation and madness. A lighthouse keeper’s wife complained to her husband about the endless boredom she felt living on the island. He in kind had a piano delivered to the island to surprise her just before winter overtook them. His wife’s delight at his gift although quickly faded for she needed sheet music to play the piano and only one song had been sent. Unfortunately, it was too late in the season to have more songs delivered. To her husband’s chagrin, his wife took to playing this one song over and over again to the point he despaired that spring would never arrive. Once it did he, sent for more sheet music for his wife. But unbeknownst to him, she had descended into a form of madness. For when the new sheet music arrived, she continued to only play the original song. Tragically, the husband also spiraled into insanity and took an ax and smashed the piano and then killed his wife nearly decapitating her. Ever since people on the island have heard the notes of a piano tune--similar to a Scott Joplin rag-- playing. Today there is no piano on the island and when this is discovered visitors always ask if it might be a radio playing, but the answer is still no. This song is also faintly heard by people who pass by the island’s rocky cliffs in boats—especially on calm nights. Yet another tragic event happened on Sequin Island when one keeper’s ten-year-old daughter died. She was buried near the house. Her apparition has been seen ever since running and playing in the lighthouse. Visitors and coastguardsmen have seen her running up the stairs and waving down at them. Her laughter is heard, and many have reported hearing her bounce a ball. One former keeper who haunts the lighthouse has been dubbed “Old Captain." As the story goes, he died on the island alone, penniless and without a boat. Many keepers who came after him claimed to see his apparition. He is most often observed climbing the stairs of the tower as if heading to tend the light. Another compelling Sequin Island tale happened in 1985. 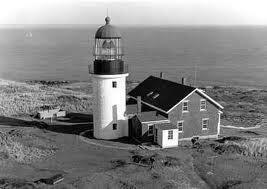 At this time the Coast Guard was decommissioning the light so all the furniture, in the quarters, was being packed up. The next morning as the boat that held all the packed furniture was being lowered down the steep cliff off the island it broke loose and was smashed against the rocks below. 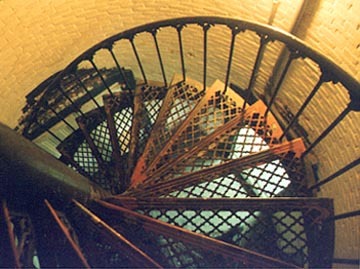 Today the lighthouse on Sequin Island is a museum and is open to the public during the summer months. The island is accessible by boat from Bath, Popham Beach, or Boothbay Harbor. The Delta Queen, a paddle steamboat, was assembled at Banner Island Shipyard in Stockton, California in May of 1927. * She was one of the most luxurious American steamboats ever built at a cost of one million dollars. Mary Becker Greene fondly known as “Ma” was once the owner and co-captain of the Delta Queen. It is she who haunts the boat to this day. For her first 13 years the Delta Queen carried passengers along the Sacramento River between San Francisco and Sacramento. During World War II the Navy leased the Delta Queen and used her as a barracks and troop transport. After the war she was put up for auction. Mary Becker Greene was the first female licensed riverboat captain along the Ohio and Mississippi Rivers. As the Delta Queen started her 63-year service *** on the Mississippi and Ohio Rivers Ma Greene helped her son as co-captain. Mary lived the rest of her life on the Queen and when she was not acting as co-captain she spent her time dancing, laughing and entertaining the Queens’ passengers with mesmerizing tales of her life on the river. While alive, Ma maintained a family atmosphere on the boat—she was a strong supporter of temperance and did not allow liquor to be served on the Delta Queen. 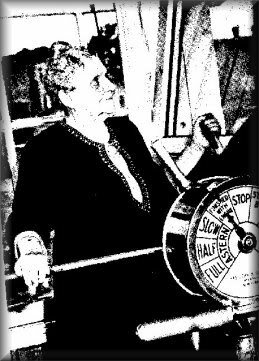 In April of 1949 after helping her son dock the Delta Queen at her homeport on the Ohio River in Cincinnati, Ma retired to her cabin where she passed away at the age of 79. After her death a saloon was established on board the Delta Queen but shortly after the first drink was served a barge crashed into the Delta Queen. When the crew was finally able to untangle the mess they were amazed to discover the name of the barge was the Captain Mary B. So it appeared a barge carrying Ma’s name had managed to stop the one thing she never wanted on board the Delta Queen--liquor. After this incident Ma’s ghost started to appear on the Queen. An apparition of an elderly lady that looked just like Ma was reported by many crewmembers and passengers. Two female employees one an entertainer, Phyllis Dale, and the other a guest pianist, Marie Richardson, both saw Ma’s apparition. Dale stated that she followed a woman wearing a long green robe through one of the Queens’ lounges but when she rounded the corner she suddenly wasn’t there anymore. Richardson reported seeing a woman in 1930s clothing drift by as she played the piano three nights in a row. When she looked up the woman always just disappeared. They both were informed after the fact that they probably saw the ghost of Ma Greene. A first mate and then captain of the Delta Queen, Captain Mike Williams, encountered Ma’s ghost twice. Captain Williams believes that Ma's ghost is benevolent in nature. His first encounter with her happened in 1982 as the boat was being refurbished. He was awakened by a whisper in his ear—this startled him because he was the only person on board at the time—he quickly jumped up and followed the sound of the boiler room door slamming. He discovered that water was rushing in around a broken pipe. He was able to arrange emergency repairs thereby saving the Queen from what could have been major damage. Williams believes the voice that whispered in his ear belonged to Ma Greene. Captain Williams second encounter with the ghost of Ma Greene changed his life because it is how he met his wife. Myra Fruge joined the crew in 1985 as a purser. Late one night she received a call from Room 109, she heard an elderly woman’s voice complaining of being ill and very cold, so Fruge asked the captain to help. Much to her surprise when she entered Room 109 it was empty. Captain Williams shared the former occupants story with her--Room 109 was Ma Greene’s cabin. After this introduction arranged by Ma’s ghost the two became friends, fell in love, and married within the year. Today the Delta Queen is no longer in service she is permanently moored on the banks of the Tennessee River in Chattanooga. **** She has been restored and is a hotel and restaurant. Judging by the recent sightings of Ma by employees, guests, and even a television film crew it is safe to say Ma’s ghost is still active. * The Delta Queen machinery was fabricated on the River Clyde at the William Penny & Brothers Ltd, Dumbarton, Scotland. Her paddlewheel shaft and cranks were forged at the Krupp Stahlwerke AG, Germany. ** The Delta Queen was the first and only paddle steamship to travel--she was tugged by the tug boat Osage in April of 1947-- through the Panama Canal. *** The Delta Queen is the only boat to be inducted into the Marine Hall of Fame while still in service. **** Since the exemption for the Delta Queen from the Safety at Sea Act expired at the end of October 2008--she can no longer carry overnight passengers. Many fans of the Delta Queen are working to get a renewal of the exemption from Congress. For more details click here. The British series “Downton Abbey” is filmed partially in Northern Hampshire at Highclere Castle. Highclere has been the home of the Carnarvon Family since 1679. It sits on a thousand acre estate in Berkshire, in between London and Bristol. The castle’s history dates back to the Iron Age; the Bishops of Winchester owned the property for 800 years before it passed into secular hands. In 1679, the Herbert Family-- the Earls of Pembroke-- the ancestors of the Carnarvon Family acquired the property. In the late 18th century and early 19th century many improvements were made to the estate. The old Elizabethan structure was transformed into a Georgian Mansion during this time. Yet even more significant changes were made to Highclere in the mid-19th century. The third Earl of Carnarvon hired the famous architect, Sir Charles Barry to redesign the Georgian Mansion. The new castle resembles a variety of architectural styles with high Elizabethan, Gothic, and Italianate influences. Barry purposely designed the structure to look larger than it really is as the visitor approaches it. The house is actually very large but today only the first floor is in use, which includes: a entrance hall, saloon, dining room, library, smoking room, music room, and several bedrooms. There are fifty bedrooms in the upper floors that are not in use. The present Lady Carnarvon, who along with her husband the 6th Earl of Carnarvon own Highclere Castle, has stated that because so many people have lived in the structure over the years and because “terribly upsetting” events have happened in the building it has resulted in the castle being haunted by more than one ghost. She states that some people see the ghosts and others do not. Lady Carnarvon at one point spotted a ghost in the castle, "I saw the ghost of a footman he seemed unhappy." At one point this apparition followed her. After this she had the castle blessed by Father Peter from Westminster Abbey. He blessed the spot where I saw the ghost. Lady Carnarvon states she does not mention this spot for the staff would then not go near it. A worker and his daughter also saw this ghostly footman. The dog that was with them on one side of a heavy door went "ballistic and barked crazily." Lady Carnarvon believes this footman worked at the castle during the Victorian period. It is believed he committed suicide on the spot where she saw him. He was having an affair with a nursemaid who became pregnant. Sadly, the baby died, probably of cot death. The footman then killed himself. Her husband, the Earl, states he has never seen this ghost but that he believes that some people are more attuned to this kind of activity. Ironically, in an upcoming scene in the fictionalized series of “Downton Abbey” the actress, Joanne Froggatt, who plays “Anna” the highest-ranking maid in the household, encounters a ghost in one bedroom. Update--the above scene was never shown so it appears it fell victim to the cutting room floor. Following is a video of Lady Carnarvon discussing the ghosts at Highclere Castle. This is basically when a ghost hunting team sets up flashlights on a table, floor, chair etc. and asks the entity or ghost to turn the flashlight on or off in response to their questions. 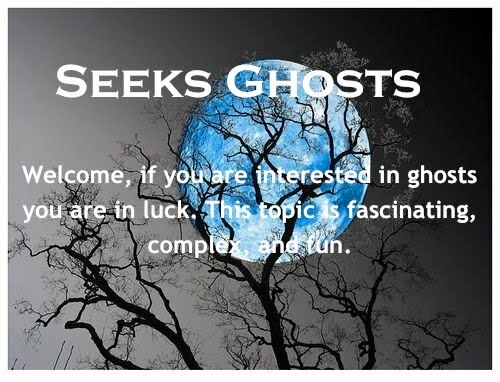 In the past year there have been a lot of discussions on-line between various ghost-hunting groups as to whether this is an effective way to communicate with ghosts. Several groups claim this communication is proof there is some kind of paranormal activity occurring. On paranormal forums there are ghost hunters who are very much for using this method and others who are very much against using this method. The groups or individuals who oppose this method point out that it is just a “trick” because how it is done is by pushing the switch or twisting the cap so that the flashlight is not completely on or off. In other words they turn the flashlight on and just turn it back a tiny bit to turn the light off. This makes the flashlight more sensitive. They state when a flashlight switch is not completely on it then takes little or no interference from a person or environment to cause the light to turn on, off, or flicker. Those who oppose also point out that if you know the basics of how a flashlight functions then you know that it has several parts that come together to make it work. Among these parts are contact strips, the switch itself, the lamp, and of course the batteries. When a flashlight switch is pushed to the on position it makes contact between two strips, which begins a flow of electricity, powered by the batteries-- activated by this flow of electrons, the filament, or LED, in the tiny light bulb (lamp) begins to glow—producing light. Those skeptical of this practice state that when a person pushes a switch or twists a flashlight cap so it is not completely off it disrupts the flow of the electricity, which creates an open circuit—this results in the flashlight not working right. In other words the light will turn on and off without a person touching it--because it has been tampered with. Ghost Hunters who support this method ask--then how do you explain that the flashlight or flashlights light up immediately and in direct response to our questions? The response to their question is most often countered with-- the circuit is open so any movement on the part of the investigators will cause vibrations that will turn the flashlight on if it is off and off it is on in other words it activates this open circuit. The groups or individuals who support it then ask —how do you explain the fact that when we asked, “Can you turn the right flashlight on?” The right flashlight turned on. And when we asked, “Can you turn on the left flashlight? The left flashlight turned on. In essence they are saying—the fact these flashlights turned on or off was not random in nature. The opposition then always asks—how long did you ask before you got the response you wanted? Meaning if you keep after it long enough the random open circuit will eventually match your efforts. Many suggest if a team is going use the flashlight method--don't ask open ended questions instead ask specific ones (e.g. If someone is here turn the left flashlight on 3 times.) Can you make the right flashlight turn on every time I say the word, "happy." These examples move it away from just random responses. They also suggest ask the same question multiple times to see if the flashlight responds consistently. Always use two or more flashlights and give each of them names--then ask that the responses correspond with the specific name of each flashlight. Many ghost hunters who oppose this method state that skeptics will always wonder if the flashlight is turning on even when questions are not asked. These ghost-hunting groups feel that if you tamper with flashlights in this manner you are in essence shooting yourself in the foot if you claim it is proof of paranormal activity. Those who oppose it often ask —have you tired this at a place with no paranormal activity? Do the flashlights still go on and off when you move? Glamis Castle located in Angus, Scotland near Edinburgh is considered one of Scotland’s most haunted castles. Just like most castles that have been around for hundreds of years Glamis Castle (pronounced glamz) has more than one ghost. But by far the most tragic spirit at Glamis is Lady Janet Douglas. Lady Janet Douglas married the 6th Lord of Glamis—one of the many Earls of Strathmore who lived at Glamis in its 600-year history. The couple lived happily together with their son until Lord Glamis died in 1528. Her husband’s death unfortunately left Janet vulnerable to James V who bore an increasing hatred for her family due to the fact he despised his stepfather—who was a Douglas—and Lady Janet’s brother. In the Kings eyes, the Douglas Clan was his worst enemies. Knowing Lady Janet Glamis didn't have Lord Glamis to protect her; King James decided to hurt his stepfather through Janet. He accused her of creating potions that she intended to use to kill him. So the king basically accused Lady Janet of witchcraft. He took this a step further and also accused her son John. James imprisoned Janet and John in the dungeons at Edinburgh Castle and claimed Glamis Castle for his own. He then set about the task of proving they had conspired to use witchcraft against him. This proved to be harder than he expected for Lady Janet was respected and loved by many and, her character was considered beyond reproach. In his attempts to make the charges stick, James, resorted to torturing her family members and servants to get evidence. Placed on the rack, his victims broke down and gave him the false testimony he needed to prove Lady Janet’s guilt. He even put Janet’s 16-year old son John on the rack after he was forced to watch others he loved being tortured. Because of this false testimony, Lady Janet and John were convicted of witchcraft and sentenced to death. The dungeons at Edinburgh Castle were so dark that by the time Lady Janet was led to her execution. She was nearly blind from her long imprisonment. It is said the crowd that watched her burn alive was silent, for they knew she was innocent, but none would dare challenge the vengeful James. Not long after her execution Lady Janet’s ghost began appearing at Glamis Castle. She has become known as “The Grey Lady” over the years. Most often she is seen kneeling in prayer at the foot of the altar in the castle’s chapel. To this day in this chapel, a seat is reserved for her, no one else is allowed to sit on it. Witnesses over the centuries have always noted how “sad” she appears. Others state they feel an intense sadness upon entering the chapel. An unexplained knocking is heard in the chapel. Some state that this sound is the pounding of the workers who built Lady Janet's wood pyre. Her ghost is also seen in the turret above the castle’s clock tower. More dramatic witness reports given at this location describe that she is seen tied to the stake and surrounded by the flames that killed her. One happy footnote to this story is that James V died before he could order the execution of Lady Janet’s son. So John lived to become the 7th Lord of Glamis. Glamis Castle is well known because Queen Elizabeth's parents were Lord and Lady Glamis and this castle was her childhood home.